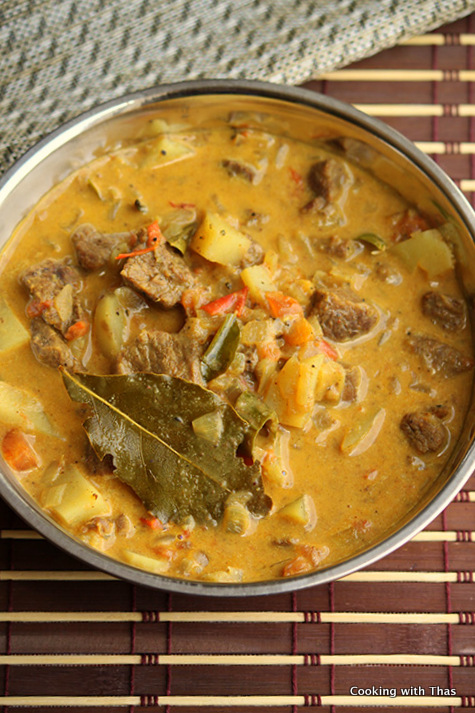 This is a Kerala speciality dish, beef cooked in coconut milk and served with Appam. 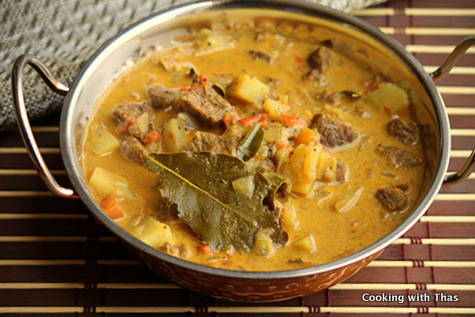 Beef stew cut marinated in spices and cooked in a rich coconut gravy- makes your taste buds dance with joy. Into a pressure cooker or into an Instant Pot, add the beef along with other ingredients mentioned 'to cook beef' and cook for 20 minutes. In an Instant Pot- cook at high pressure for 20 minutes. Keep aside the cooked beef. Place a pan over medium heat or use an Instant Pot in saute mode. 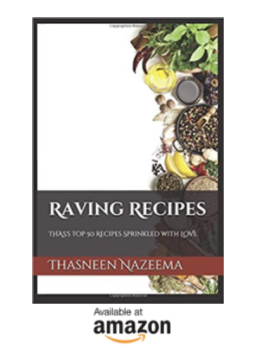 Add whole cardamom, cloves and bay leaves, saute for a few seconds. Add ginger and garlic, saute till golden in color. Add onion, curry leaves- season with salt and saute till soft. Add tomatoes, cook for a few minutes. Add coriander powder, garam masala, ground pepper, turmeric powder and salt. Combine well. Add potatoes, and add any liquid that's left after cooking beef. Cook covered till potatoes have turned tender. Add cooked beef and thin coconut milk, cook covered for 5 minutes. Add thick coconut milk and cook for 2 minutes. Finally, add 1 tsp vinegar, combine well and cook for a minute. Remove the pan from the heat, keep covered for a few minutes. 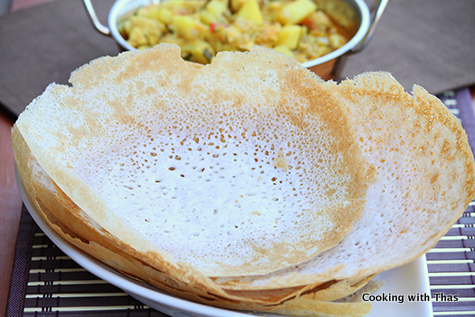 Serve along with Appam, Idiayappam etc.